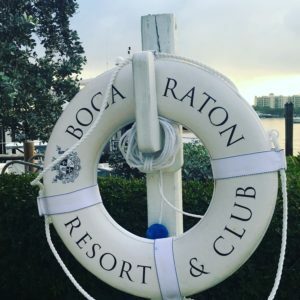 Boca Raton Resort & Club welcomes the Taste of Waldorf Astoria. 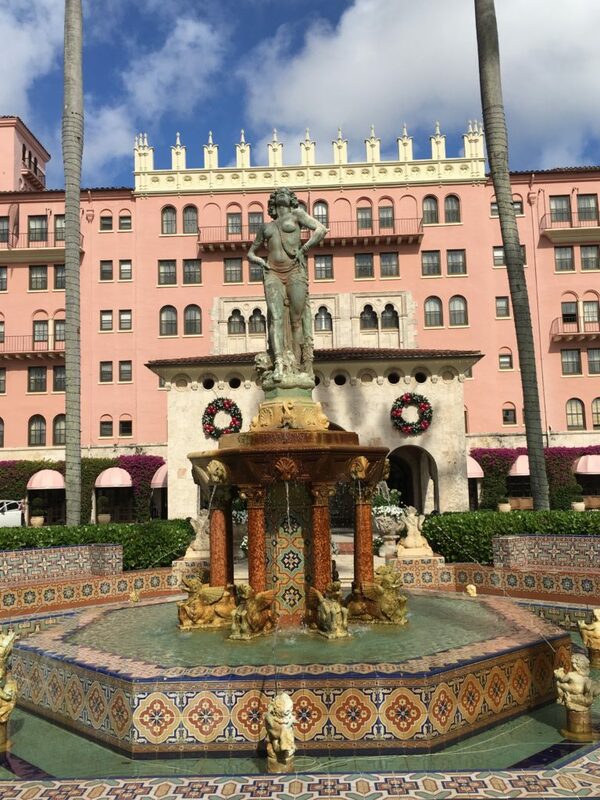 Boca Raton Resort & Club, A Waldorf Astoria Resort is a part of history. It was an important link in winter luxury train travel for the affluent in the north east wanting to winter under the warm Florida sun. Go back in time riding in a luxurious private stateroom heading south on Henry Flagler’s railroad in the late 1920’s and 1930’s, leaving snow behind and the beckoning orange blossoms have you in anticipation of your upcoming winter activities. The Boca Raton Resort & Club, which opened February 6, 1926 as the Ritz-Carlton Cloister Inn, is a large resort and membership-based club and one of the crown jewels for the elite on Florida’s east coast. 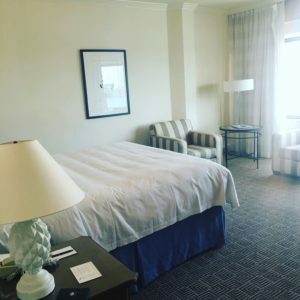 The luxury resorts included The Breakers in Palm Beach, Ritz-Carlton Cloister Inn, The Biltmore in Coral Gables and the Casa Marina (The Flagler Hotel) in Key West. Ladies and Gentlemen of the era enjoyed the best of the best at these resorts as they traveled the Flagler Railroad to Key West and some on to Cuba. Arriving at The Waldorf Astoria Boca Raton, it took us back in time with unbridled luxury and service. This grand lady was originally designed by California-born architect, Addison Mizner in 1926. The Boca Raton Club Tower was built in 1969, the building is still considerably taller than any other building in southern Palm Beach County. 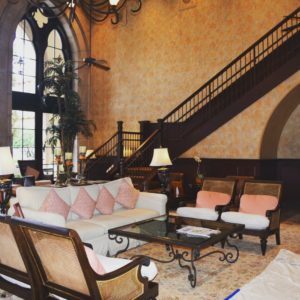 The resort has recently undergone a $150 million renovation, while the cloister and tower rooms were redesigned in 2006. 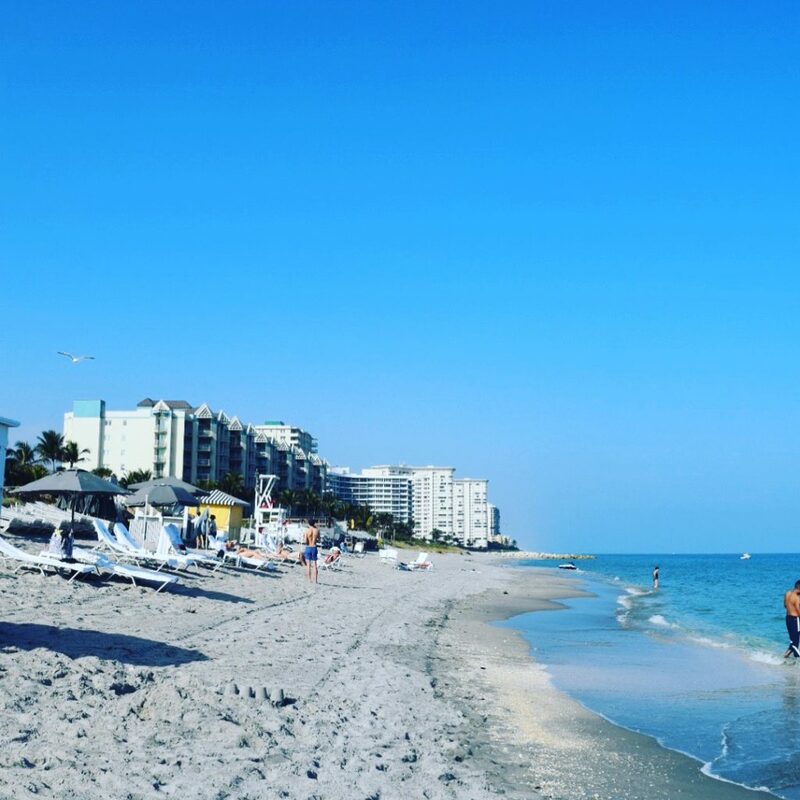 The Resort is located just a few steps from the stunning south Florida coastline and their private beach. 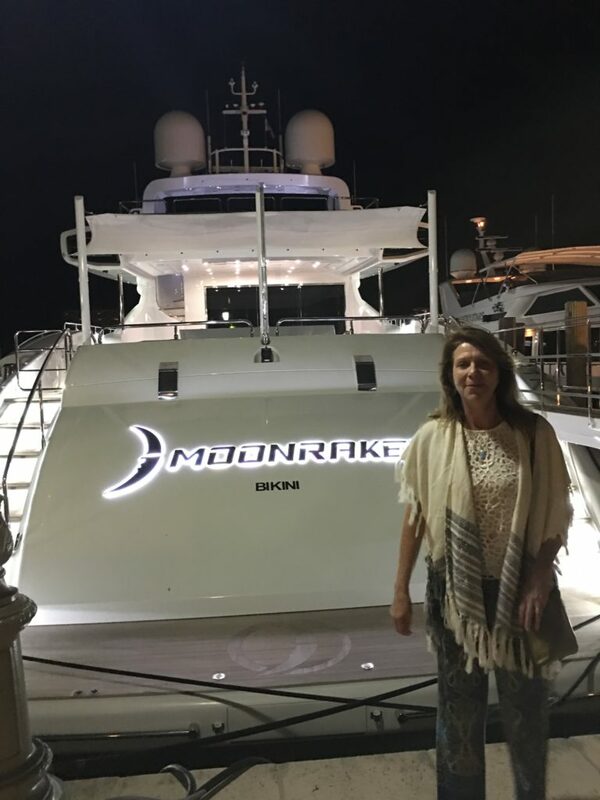 Inter Coastal Waterway and the marina which is the home of yachts well over 100 feet long. Guests can dine at one of the 11 award-wining restaurants or unwind with an ultimate spa experience at the hotel’s Waldorf Astoria Spa, voted as the number one spa in the country by Condé Nast Traveler’s Readers’ Choice Awards. 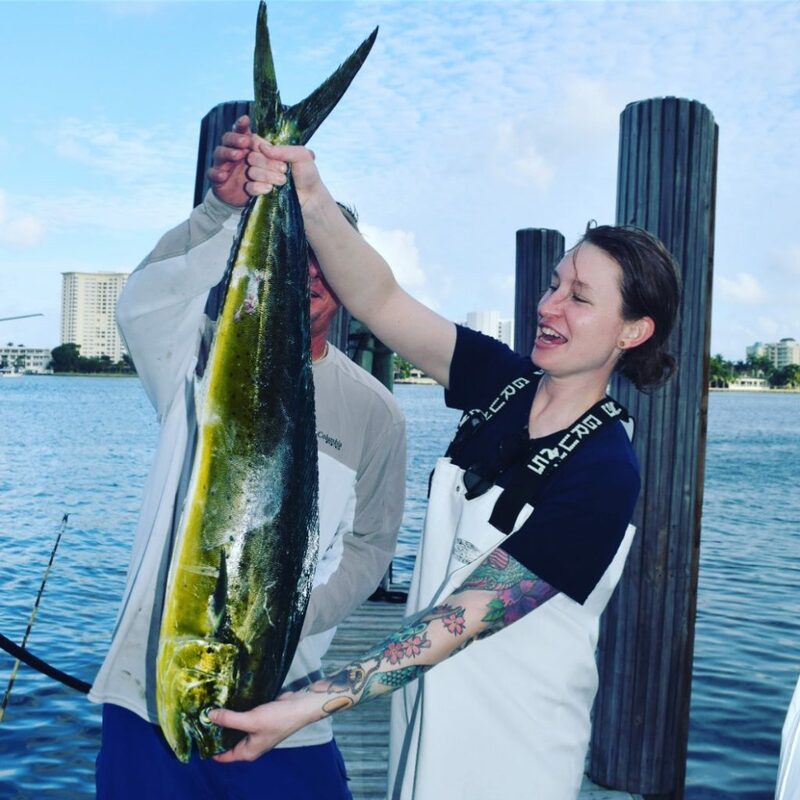 We were here on a culinary mission, partaking in Taste of Waldorf Astoria, a competition that had us deep sea fishing and sourcing ingredients with Resort executive chef Andrew Roenbeck and James Beard rising star chef Sara Hauman from San Francisco. 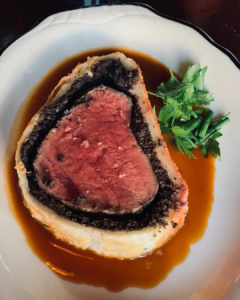 In a world inundated by food TV contests and cooking competitions, an interesting twist on a traditional rivalry is always a refreshing deviation into the creative culinary world. 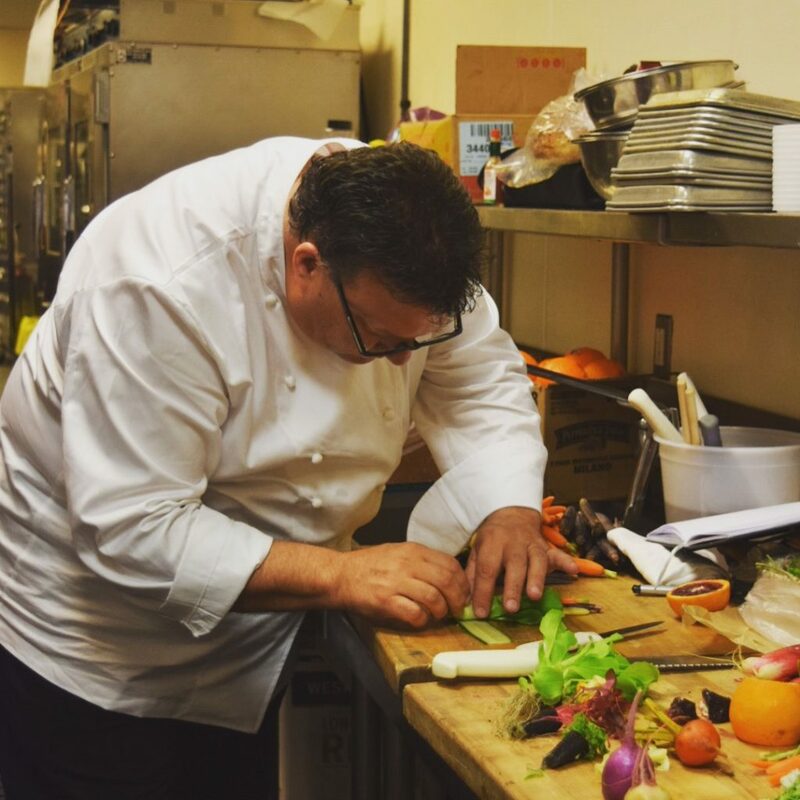 The Waldorf Astoria has partnered with the James Beard Foundation (JBF) for a third year to find the next Taste of Waldorf Astoria champion. Five JBF Rising Star semi-finalists have been individually partnered with one of Waldorf Astoria’s Master Chefs for a multi-day collaboration to conceive the next culinary masterpiece. 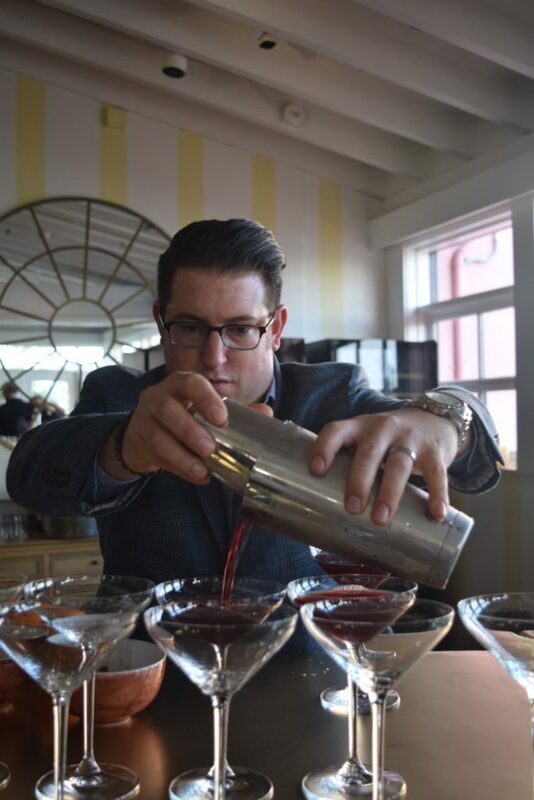 After the pairings have been created, the program culminates with a competition in February at the Waldorf Astoria in New York featuring a star-studded panel of judges who will determine the winning combination. Waldorf Astoria Hotels & Resorts have given the world classic dishes such as Eggs Benedict, Waldorf Salad and the Red Velvet Cake and now there is a worldwide search for yet another dish to hallmark this iconic brand. 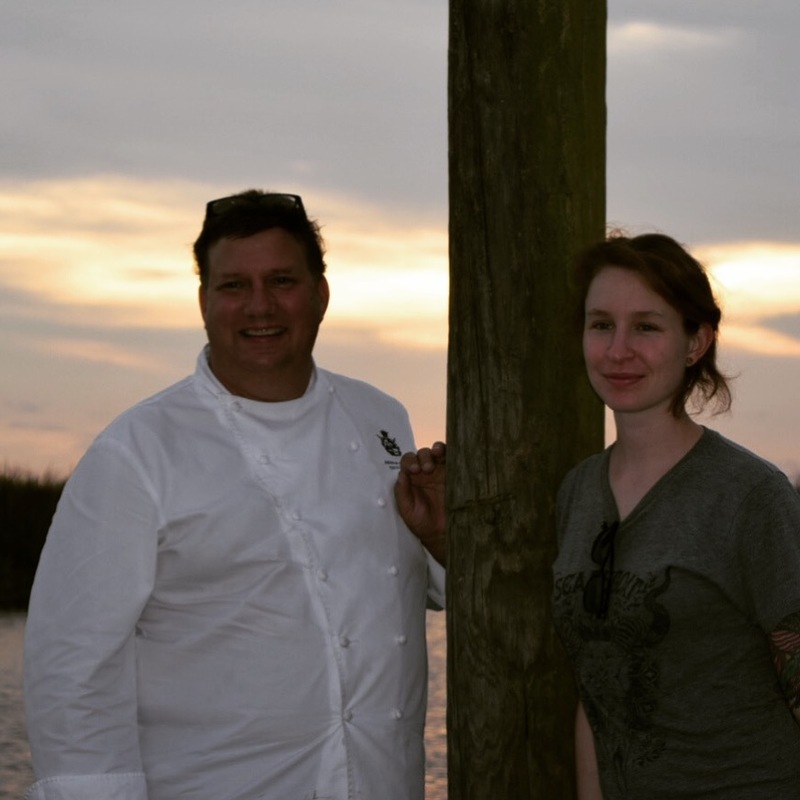 Resort executive chef Andrew Roenbeck and James Beard rising star chef Sara Hauman from San Francisco. 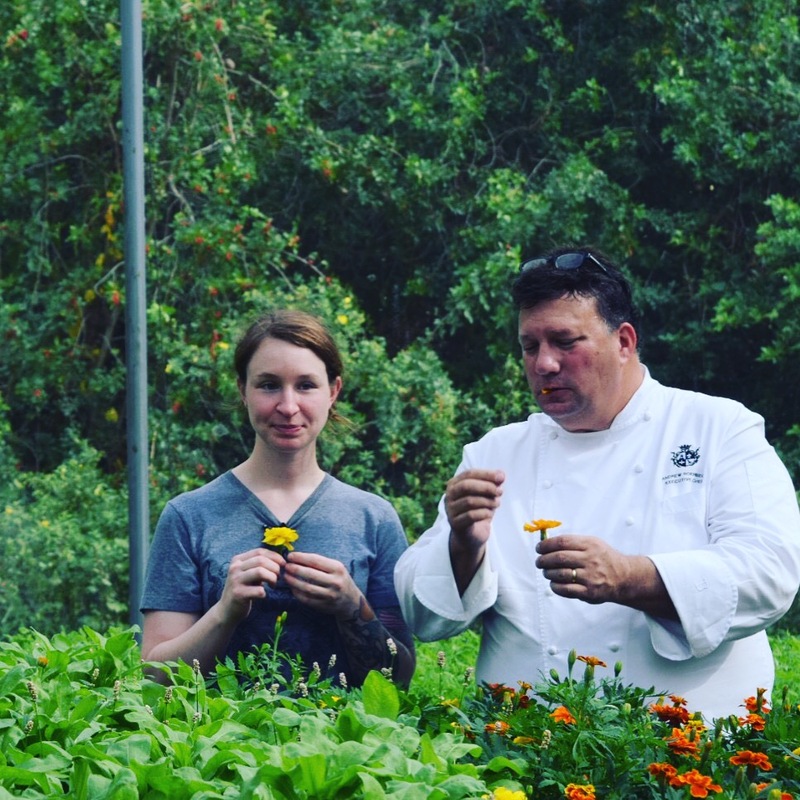 Just before the holidays we joined two accomplished Chefs’, one a twenty plus year veteran executive chef of the Waldorf Astoria, Andrew Roenbeck and his counterpart a young James Beard rising star, chef Sara Hauman of San Francisco. 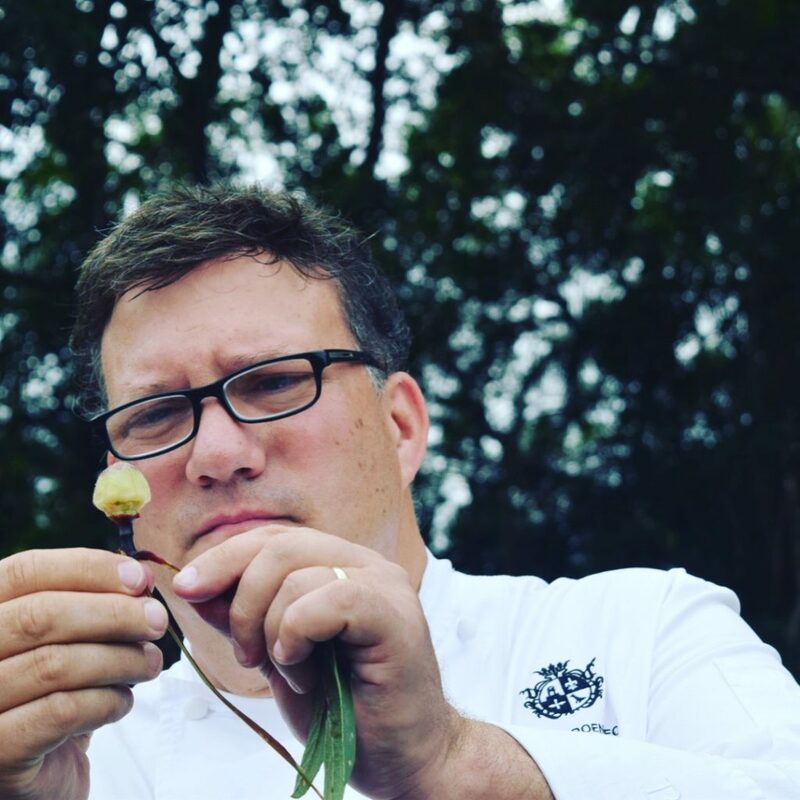 As Taste of Waldorf contestants, they must collaborate executing a dish that could withstand the decade’s recipe revelations, and unusual ingredients. 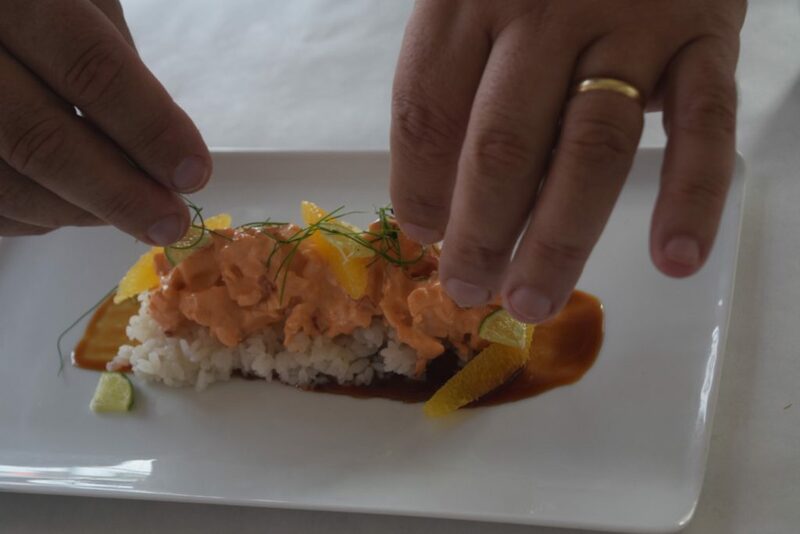 This is a culinary challenge that propelled these chefs together without any prior communication as they were tasked to prepare the a dish that will be not only featured in every Waldorf Astoria throughout the world but in the greater connection, an iconic dish is optimally going to withstand the test of time. This year’s contest: transform the happy hour into the “Fifth Hour” by expanding bar offerings beyond traditional drinks and appetizers. 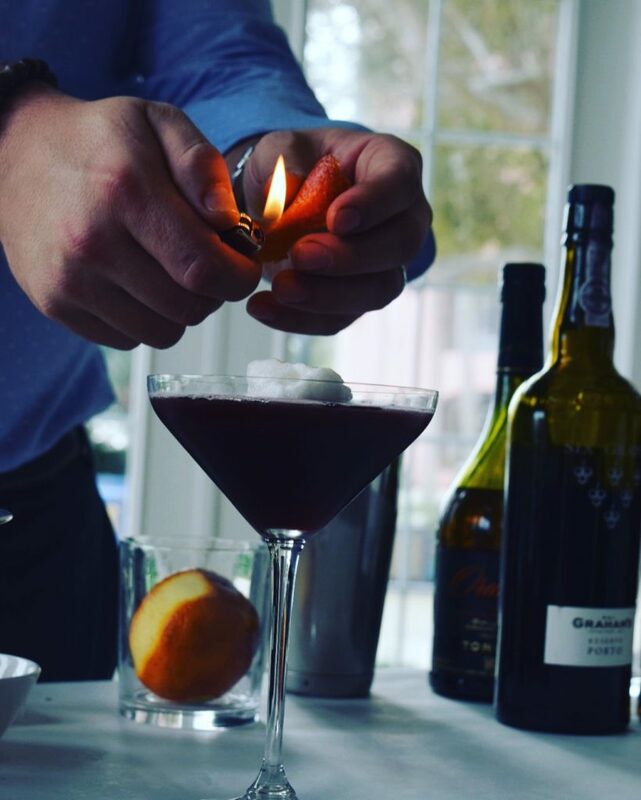 Roenbeck and Hauman were challenged to create two small bites that must pair perfectly with an original cocktail and mock tail. 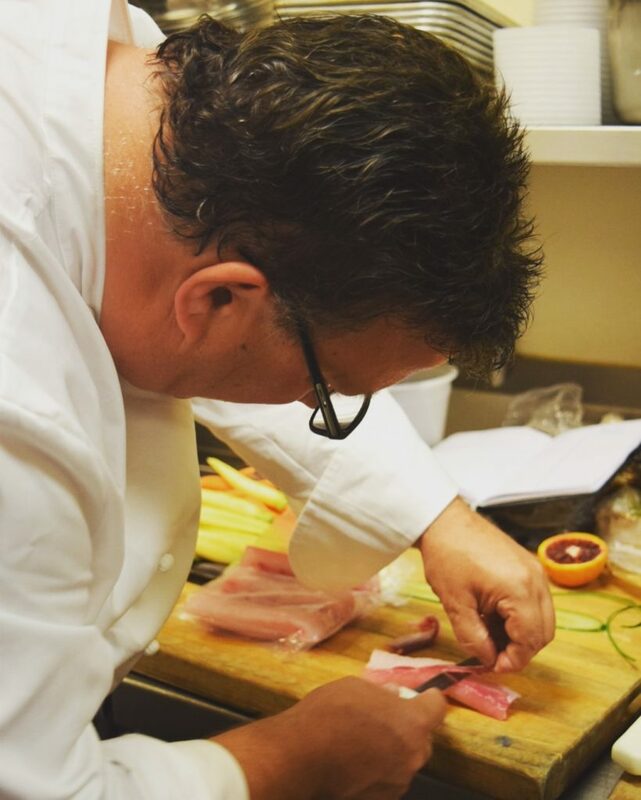 Working amongst themselves and the skilled Boca Raton hospitality staff, they carefully took several days in creating a truly memorable dining experience encompassing every detail from the overall presentation from plate to palate. 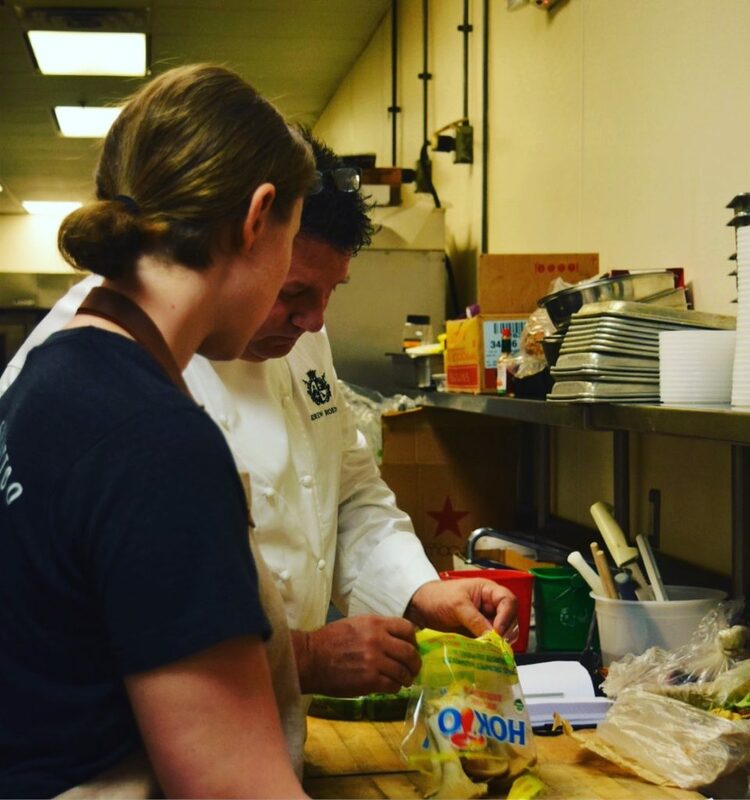 Not only is this a culinary challenge but also a mentoring and educational experience for the rising star chef. We came along to catalog and chronicle the weeklong journey of these two vastly different chefs as they journeyed through their purpose, finding the best purveyors while developing their creative process into a winning plate of perfection. With several of us coming together from different parts of the country and various time zones, we were all a bit jet-lagged but ready to be educated on the flora and fauna of the surrounding area. 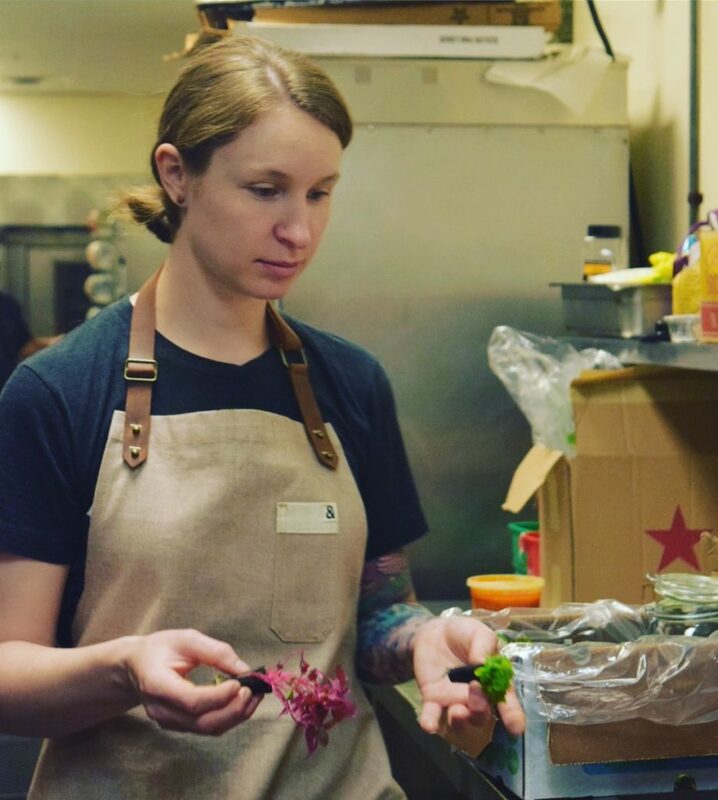 We met with some of the best local purveyors in search for the superior ingredients needed in producing the winning menu items. 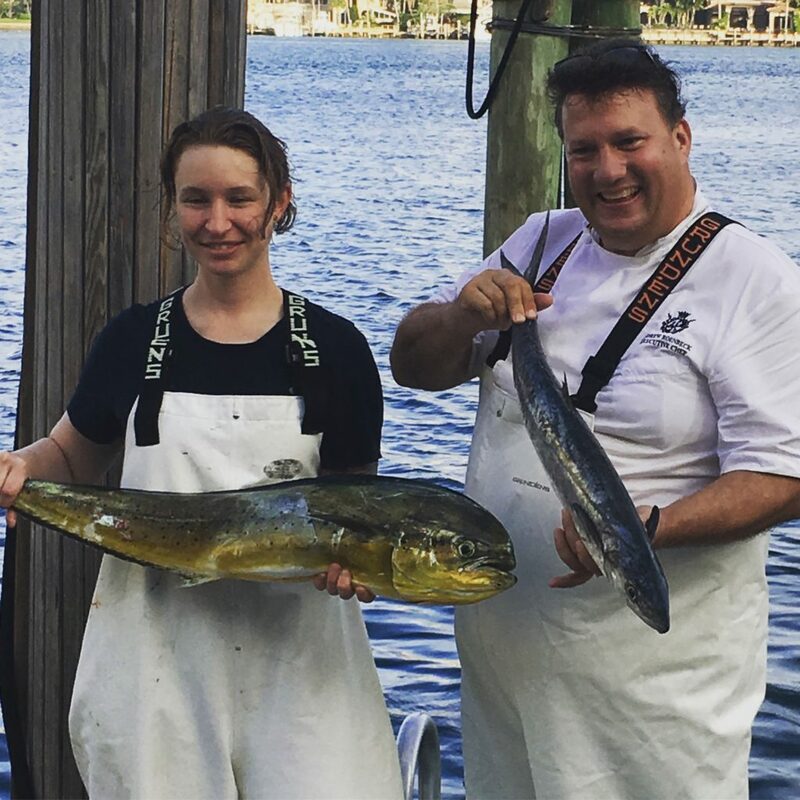 Our first culinary assignment; meet at the Waldorf Astoria boat dock for a fishing trip. Living in the desert does not include fishing expeditions, so this looked like an intriguing adventure. 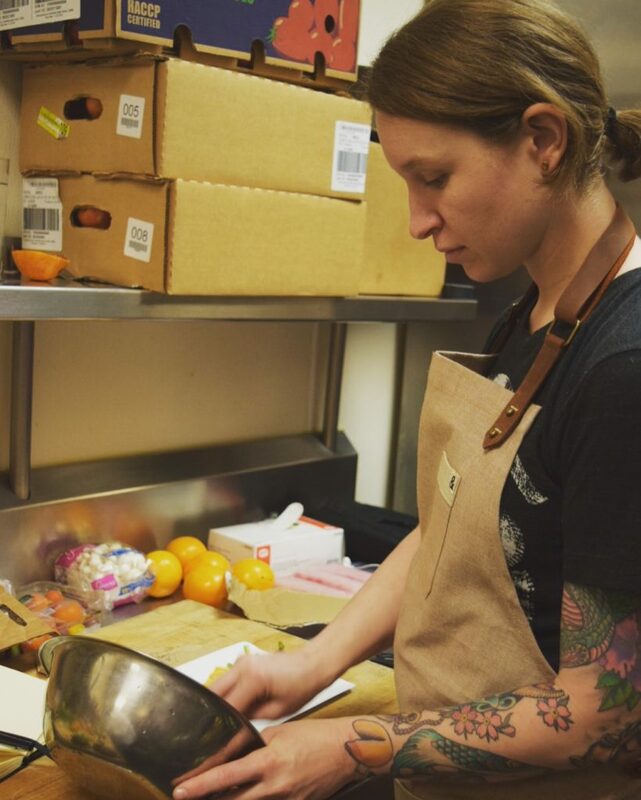 James Beard rising star chef Sara Hauman from San Francisco. The seas looked a bit choppy but knowing we were going to be with experienced fishermen, we put aside our doubts and bravely stepped into the small fishing vessel. Docked aside multi-million dollar yachts, this fishing craft looked diminutive and a bit fragile for the stormy weather that seemed to be brewing on the horizon. 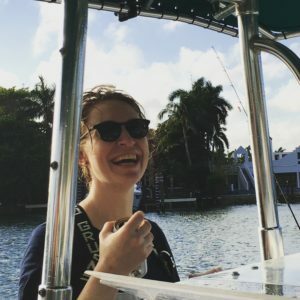 Our angst was starting to show, but we put on our seafaring faces and ventured into the channel as our jovial seamates reassured us of their skillful knowledge that would keep us from any impending doom. That seeming reassurance faded very quickly as large white caps loomed on the horizon. While the captain jokingly hummed the theme song to the 70’s TV show Gilligan’s island-(and we know what happened to that crew!) under his breath, we were thinking will our fate to be any different? His carefree attitude did not pierce our cloud of trepidation as we heaved and pitched through the Inter Coastal water way and into the Atlantic Ocean. We bounced through the rough waves like a rubber duck in an agitated child’s bath, all the while praying to the sea gods’ for mercy. Once we cleared the channel our fate looked dubious as storm clouds and rough waters seemingly increased by the minute. The two worked in frantic unison bringing aboard the combative Mahi-mahi amidst bouts of bloody surrender. With the prize catch now subdued, we anxiously urged the captain to take us back to dry land, of which he obliged to our collective sigh of relief. 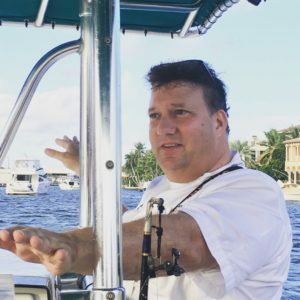 As we bounced back into the harbor we were relieved and rejoicing, as our mission was now accomplished, having the first locally sourced protein in the quest for the best ingredients albeit almost to our own demise. It’s not every day that one is offered the use of a very expensive Maserati (the official town car of the Boca Resorts) as means of transport to a bee farm. Was it the warnings we were told beforehand that made us just a tad apprehensive? Such as, do not wear black, (what about the shining black Maserati that we were driving up in? Would that be the object of bee wrath), and make sure you cover your tootsies; bees love to get at your toes. 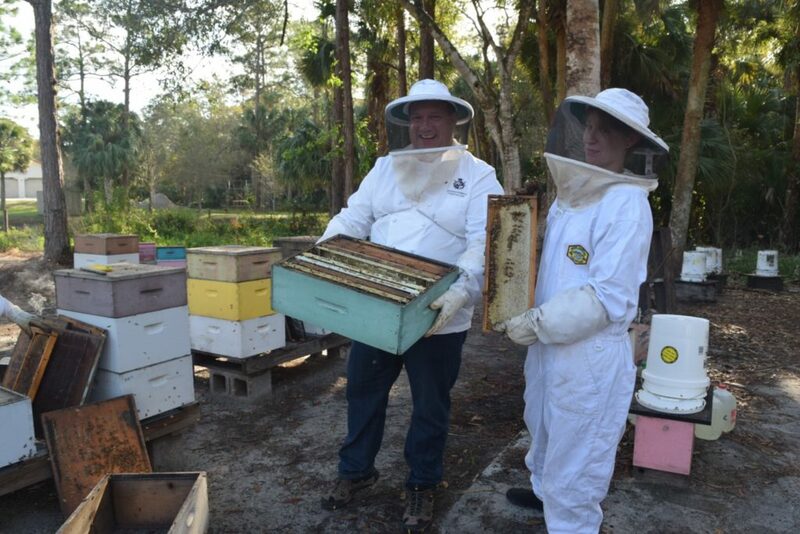 Chef Andy reassured us that the bees were harmless as long as you adhere to the rules of the beekeeper. 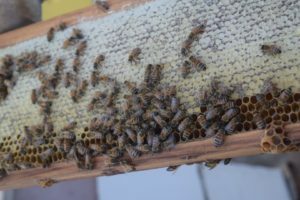 We soon were well versed on bee etiquette, as we entered into the buzzy world of Roxanne L. Altrui, passionate beekeeper. 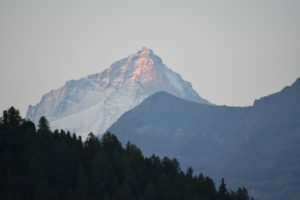 We gingerly opened the car door to the bee filled atmosphere; the distinctive buzzing sound and busy creatures were now surrounding us and we were anxious to approach their territory respectfully and safely. 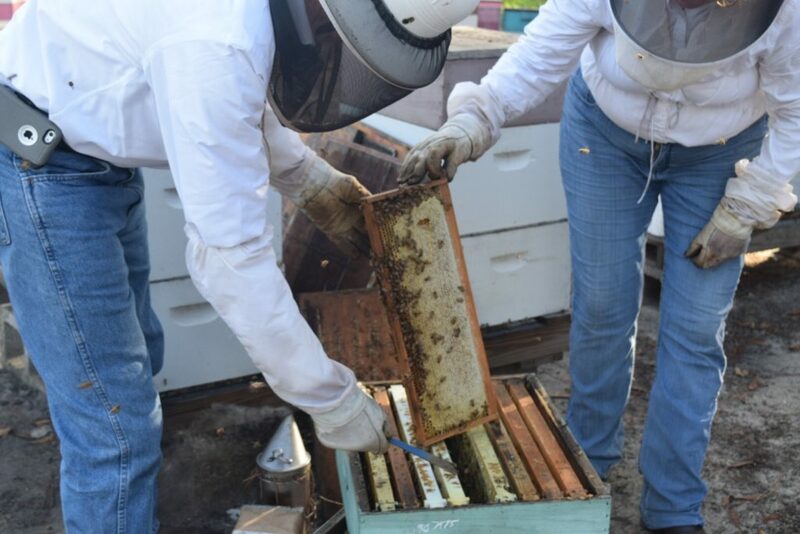 Roxanne, a tall robust woman adorned with a full bee suit, quickly gave us each our own suit and we made haste in getting our protective gear on as the bees were becoming increasingly interested in our presence. We felt snug and much more relaxed in our protective garment, although a bit warm on this humid Florida day. 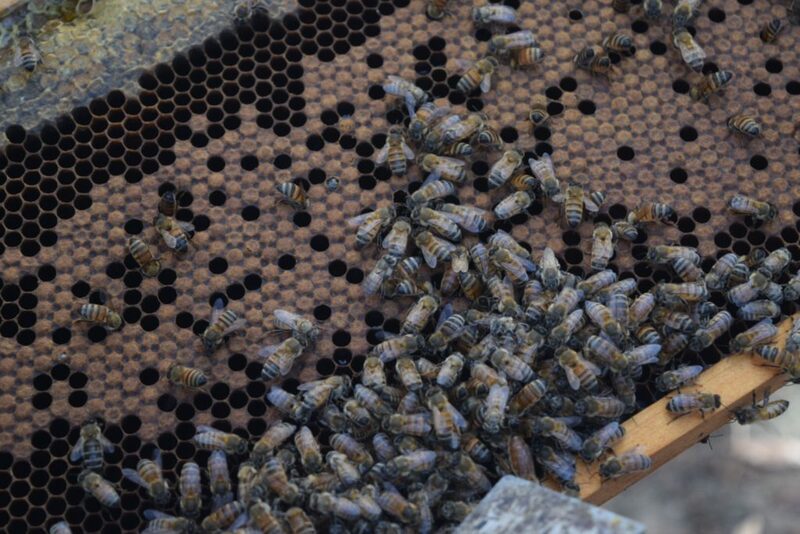 Roxanne took us through an extensive overview of her bee world, with live demonstrations showing us the work of the queen bee to the birth of a new bee. Every facet of her work was fascinating and often enlightening. “See, there are millions of bees around us, and are they attacking us?” queried Roxanne. “They are only doing their job,” she added. And their job is making the incredible golden local honey that we came to gather on this day. Bee populations in the area and worldwide are diminishing as large number of these much-needed creatures are facing devastating environmental changes and over spraying. Roxanne claims to be the spokesperson for the bees and actually calls them her “girls “since there are no male worker bees. “We need bees to pollinate our food and they need us to help them thrive and dispel the fears that many people hold to be true often based in fear and ignorance,” she added. 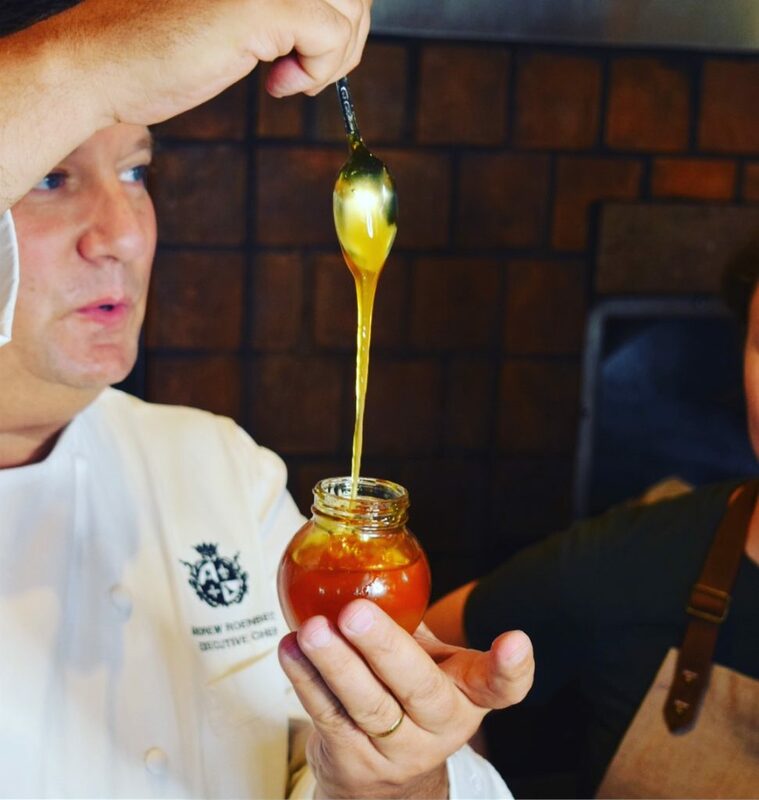 Today we truly learned the beauty and complexity of the bee world and both chefs procured the local honey for yet another ingredient in their menu quest. It was time to get back into our Maserati for the next part of our exploration. Driving down dusty, palm tree lined roads with large open canals we lost our GPS signal. We knew we were truly lost in the back brush of south Florida when we unknowingly happened upon the entrance to a nudist camp. Quickly turning around, our navigation system finally alerted us to farm known as Swank Specialty Produce operated by a husband and wife team, Darrin and Jodi Swank. 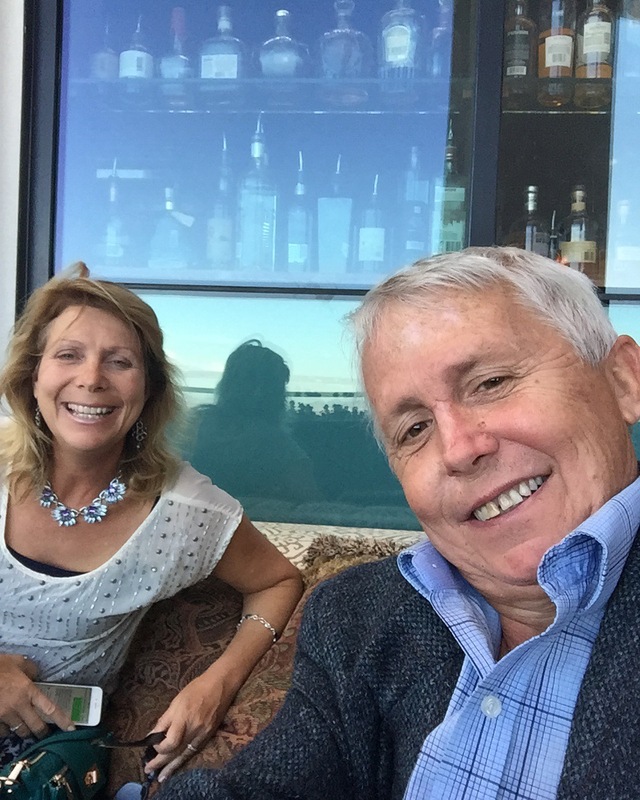 The couple, considered to be pioneers in the family farming business, left the eastern United States in the late 90’s to try farming in South Florida. 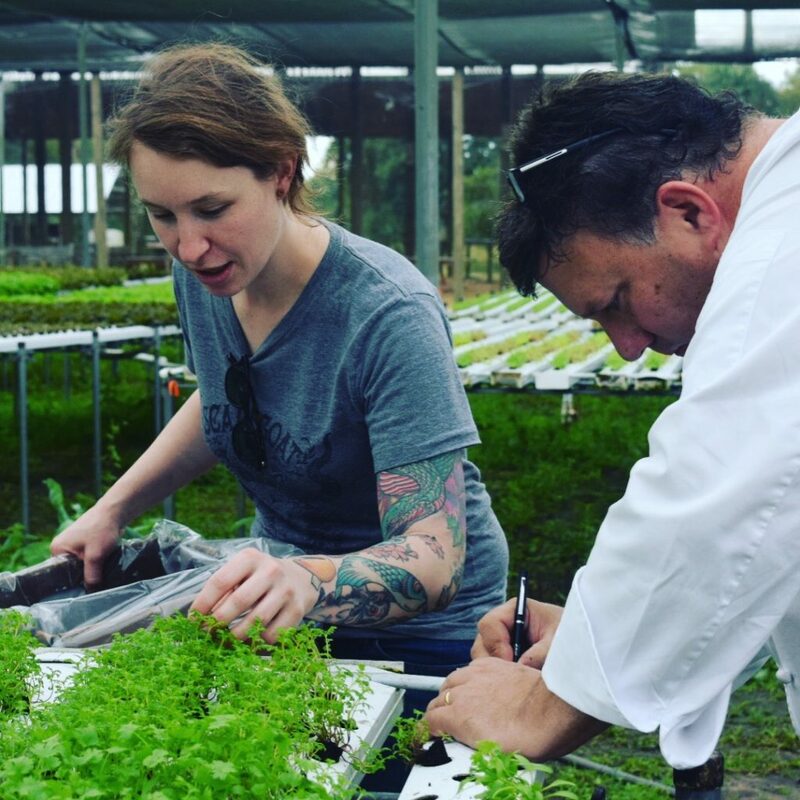 Hydroponic, natural farming was virtually non-existent and through a great deal of sweat, tears and extremely hard work the farm continues to offer the highest quality and best tasting produce in Florida. The Boca Resort& Club was one of the first accounts for the Swanks. 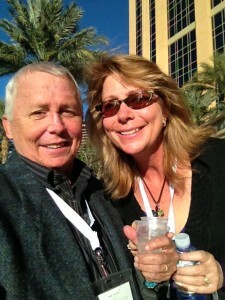 “Our products speak for themselves,” said Jodi Swank. “We were one of the first small family farms that started the local farming movement.” Walking along the rows of brilliantly colored organic vegetables, we tasted fresh tomatoes, beans and other succulent organic produce. 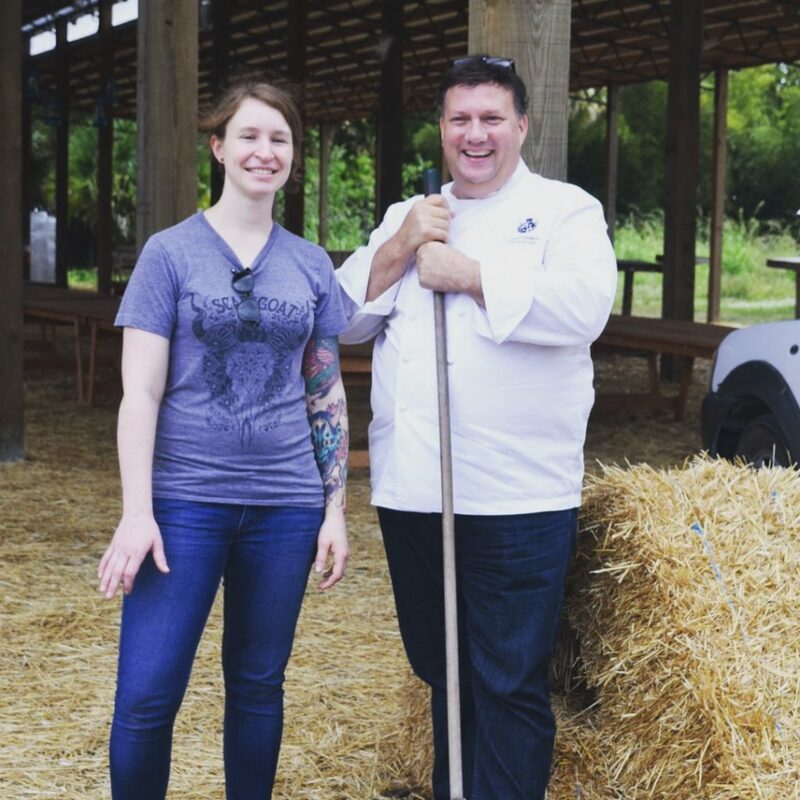 Both chef Sara and chef Andy seemed to bond over what produce that would be using in their next dish creation. This place seemed like a Garden of Eden, the perfect place to find the best ingredients. 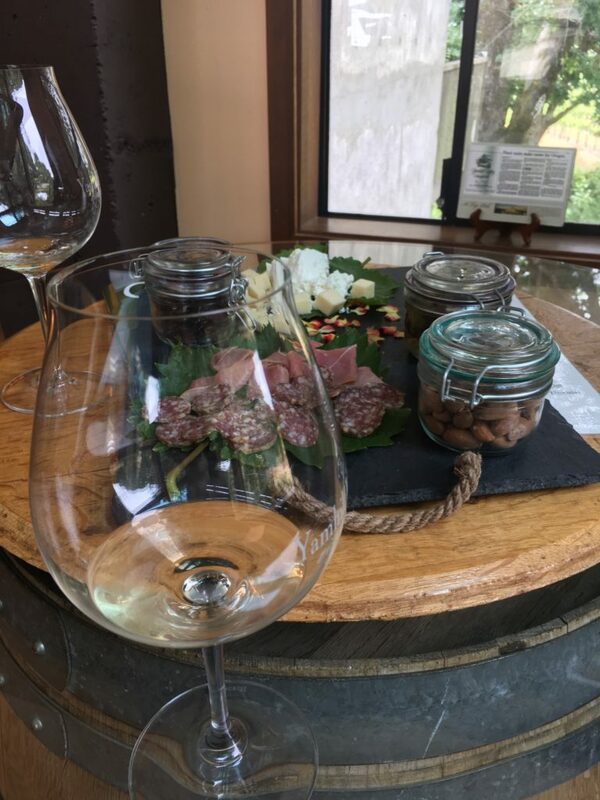 After walking the farm, it was time to visit a local winery and see what they had to offer up to please our palates. 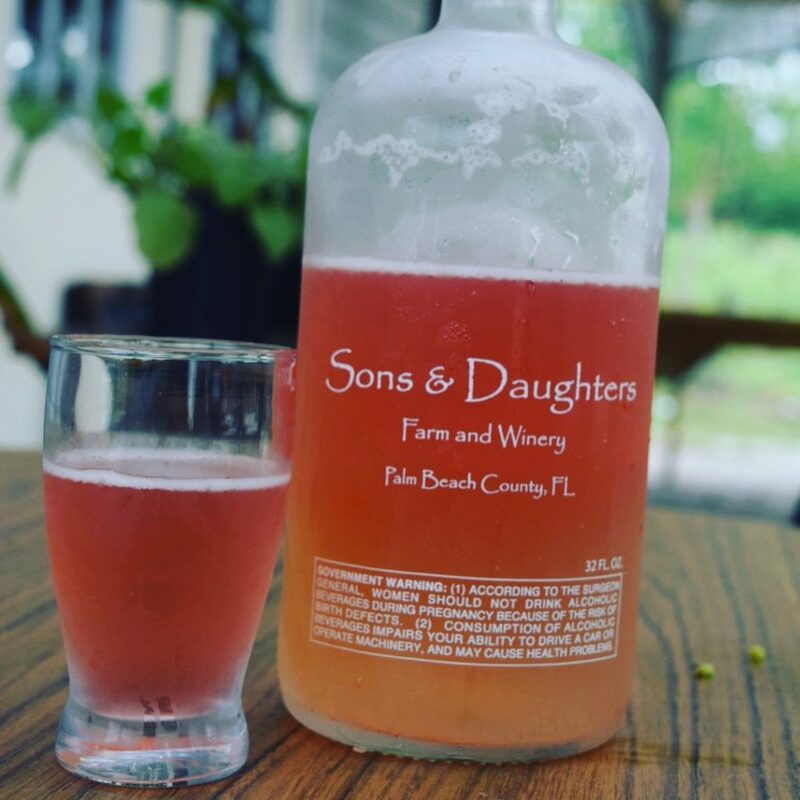 David Bick, 42, and Teal Pfeifer, 33, are owners of Palm Beach County’s only winery, Sons and Daughters that includes a retail space and a tasting room. As we entered the tiny tasting room we were looking forward to trying their wine made from dried hibiscus sabdariffa, also known as roselle, Jamaican sorrel, sour-sour and Florida cranberry. “This is one of the only organic ways to preserve a high quality product by making wine,” claimed Bick. Bick and Pfeifer strive to maintain the organic purity of their product, and it comes out in the refreshing taste of this lovely coral color wine that boast subtle floral notes. Bick also added an extra benefit to this type of wine. His wine boasts a 13% AVB but hang-over complications are nearly non-existence. 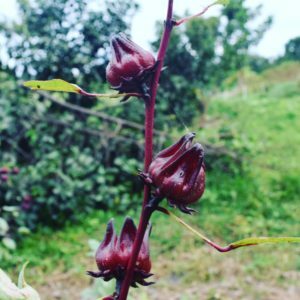 This hibiscus wine has a cult following from well-known rock stars to enthusiastic locals. There is even a waiting list as production is on a small family farm scale. 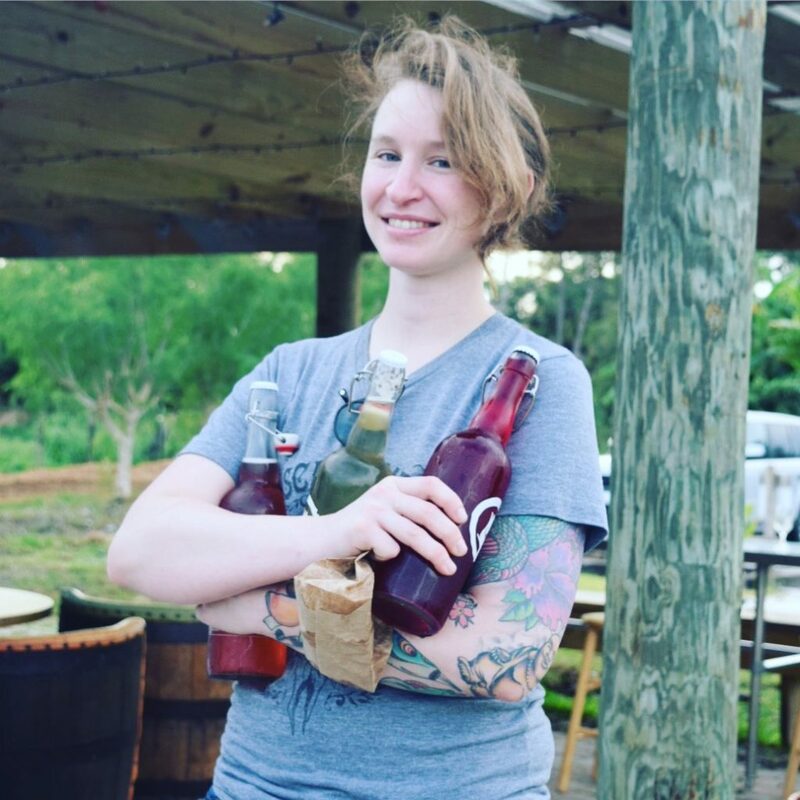 We were fortunate to have a sip or two and to gather a few bottles for Chef Andy and Chef Sara’s recipe treasure trove. 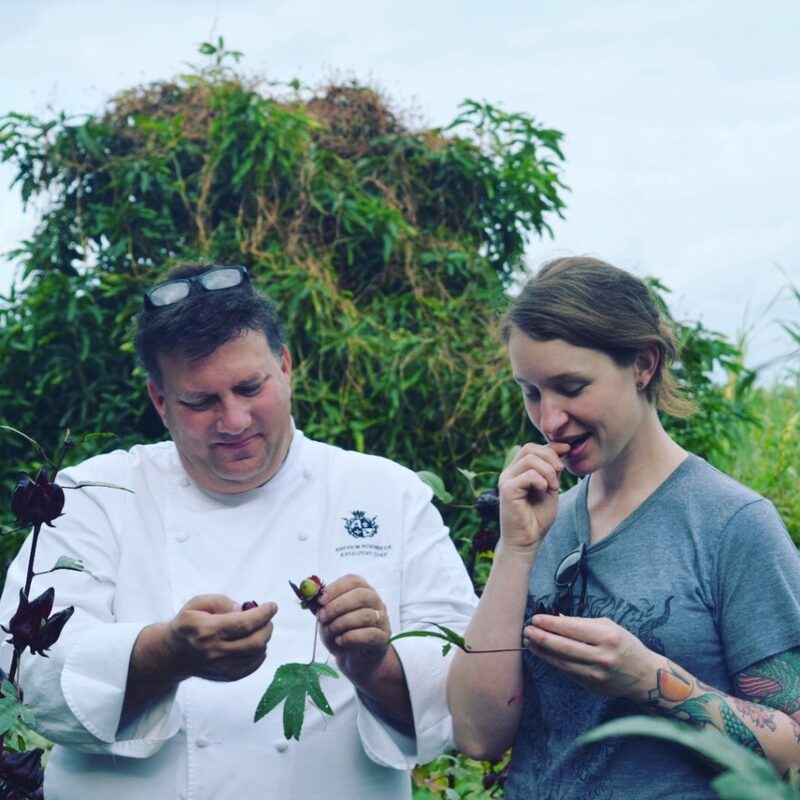 With full day of adventure, culinary education and enlightenment behind us, we still had time had to make a last stop at the Loxahatchee Nature Preserve to fulfill chef Sara’s desire to see a live alligator. As the sun was setting over the peaceful canal, we looked around hoping see these prehistoric looking creatures in their natural setting. 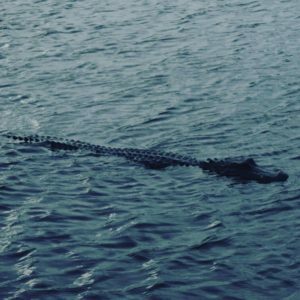 Slowly a lone alligator emerged from across the embankment. We were on a tall platform looking down at the fierce looking creature and everyone was glad to be an observer and not his next meal. 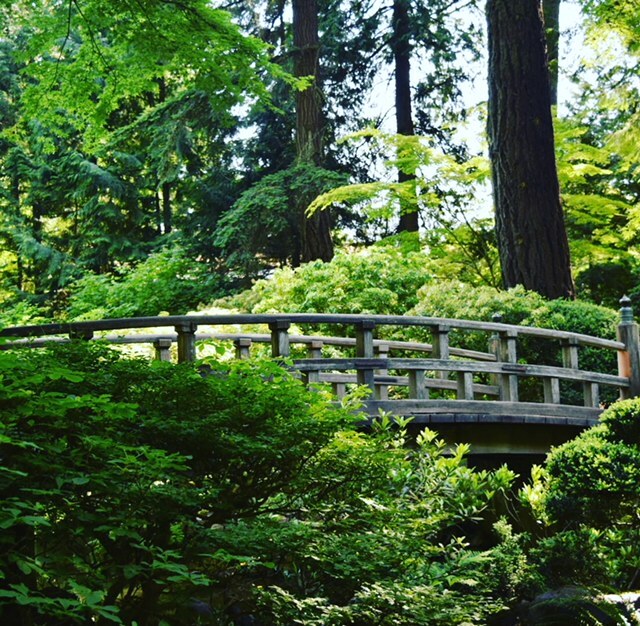 After a full day of meeting purveyors, and learning of the diverse and abundant produce in region, we headed back to the opulent resort for some rest, a lovely meal at Morimoto, and reflection. A long day ends with a sunset over the Florida Everglades. The next day was crunch time, as chef Andy and chef Sara must now put together their creative skills and knowledge to come up with the winning “Fifth hour” bar bites, and cocktail pairings. Watching the process of two vastly different Chefs, chef Sara, a 28-year-old San Francisco Chef, who has generated a great deal of critical acclaim with as the opening chef of Huxley, and Chef Andrew who oversees multiple restaurants, hundreds of chefs, and a multimillion dollar budget, was indeed an interesting voyage into the creative process. 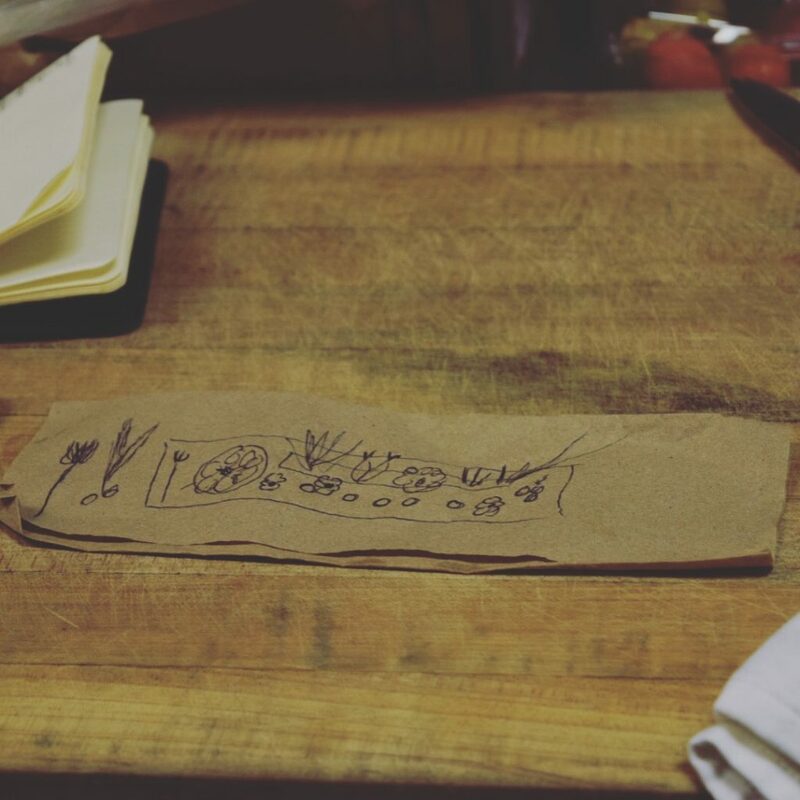 Beginning with a simple drawing on a cocktail napkin, the conceptualization began. 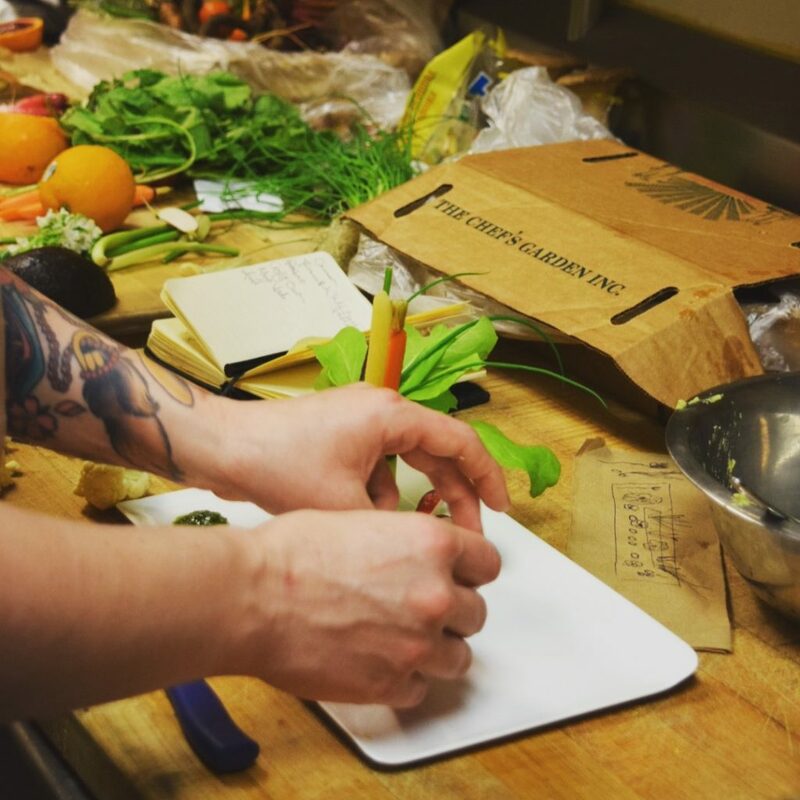 Ingredients were assembled, ready to use in capturing the flavor profiles and subtle nuances of tastes and textures. What was the final outcome, despite age and experience differences both Chefs acknowledged that skill and cooperation are essential is getting the job done with excellence and integrity. 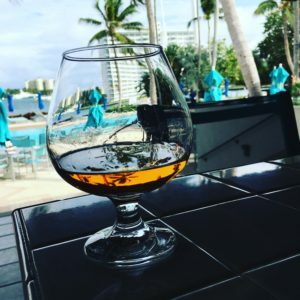 They spent another two days tasting, testing and working with the Boca Raton Resorts lead mixologist, in creating the drinks that must pair perfectly with the dishes. A final consensus was made and dishes must be executed and plated for a bevy of hotel executives and members of the local media. Chef Andy who is a bit of a comedian kept everything moving in a jovial direction with his amusing stories and anecdotes as the pressure to execute seemed daunting as the day wore on. It took four days of foraging ingredients that took us from sea to bees. It was now time to put all of the handpicked ingredients together into a culinary masterpiece. 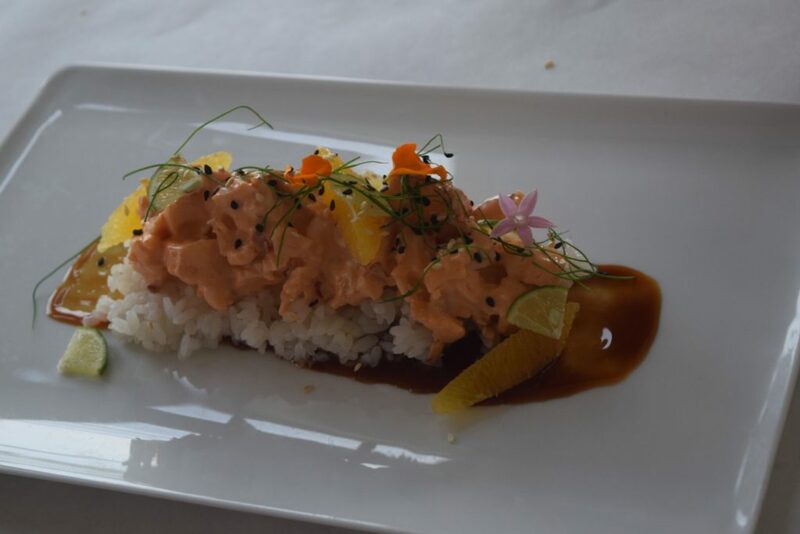 The first dish was all about Florida with an Asian flare, the Angry American Lobster: fresh lobster featuring the classic Florida citrus of key lime touched off with a spicy luscious Asian BBQ mayo topped with toasted sesame. How much more Florida can you get? Angry American Lobster: fresh lobster featuring the classic Florida citrus of key lime touched off with a spicy luscious Asian BBQ mayo topped with toasted sesame. 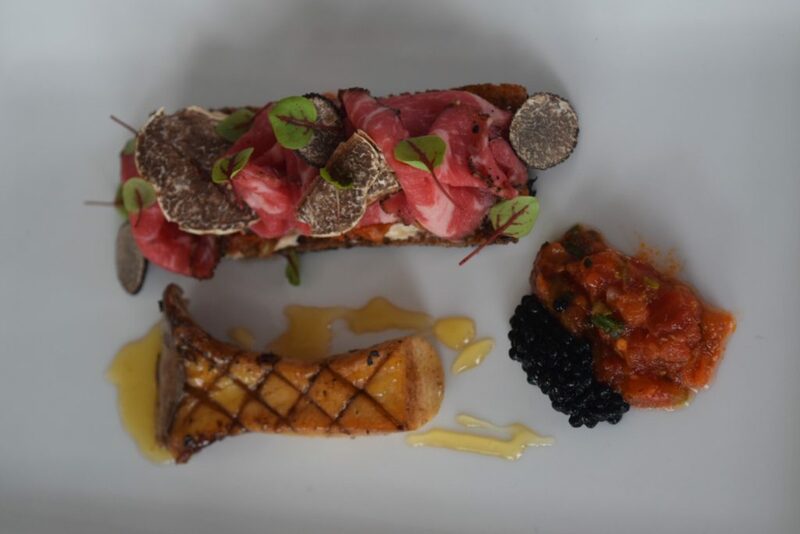 We had the surf and now the turf side of the two dishes; The Kobe Carpaccio Bone Marrow Truffle Toast. This gastronomic delight was spotlighted by thinly sliced Kobe Carpaccio layered atop of rich bone marrow toast(the truffles where brought in that very day)and accented with rich Parmigianino Reggiano truffle cream, tomato conserva, black truffle caviar and even a king mushroom with white truffle honey just to add a bit of ethereal sweetness to finish to the dish. 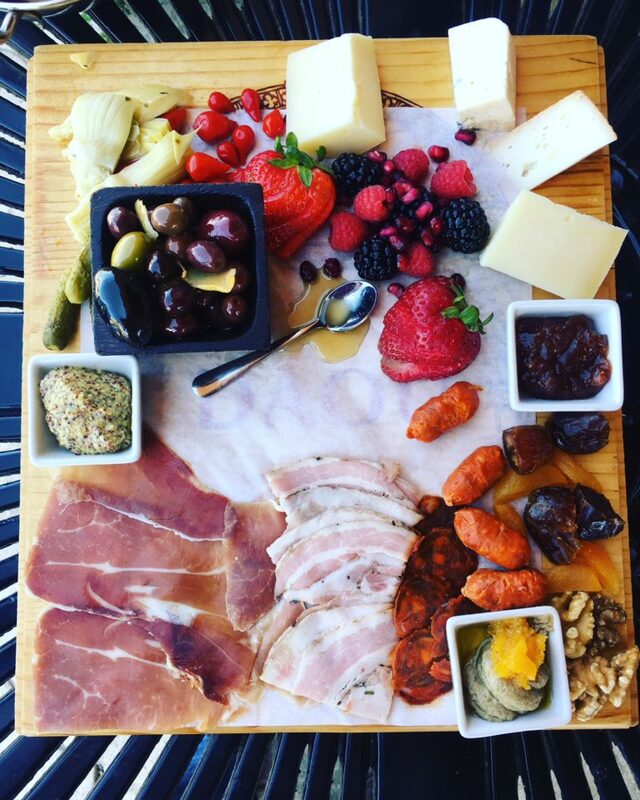 All this work for the perfect bar bites paired with a wine cocktail. This one was composed of Porto, Spanish orange liquor, honey lemon ginger simple syrup and a jasmine green tea brought accolades from the special guests that gathered for a secret unveiling before the public reveal. 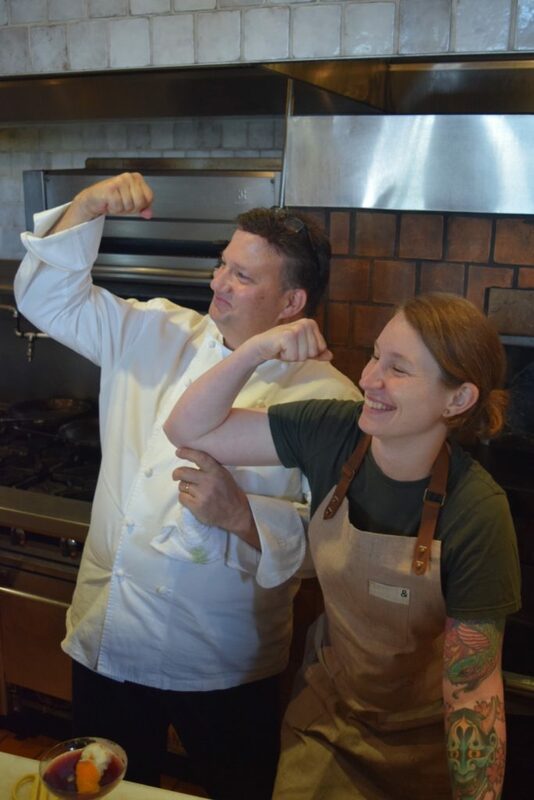 We believe, along with the positive response from the food and beverage professionals, that chef Andy and chef Sara could easily be the next winners in the Taste of Waldorf Astoria competition. Their extremely well executed, inventive and decadent bar bites that will indeed put the happy hour into another dimension. The next stop for these two world class chefs will take them to the renowned Waldorf Astoria in New York City where they will compete against other Waldorf chefs for the winner of The Taste Of Waldorf 2017.